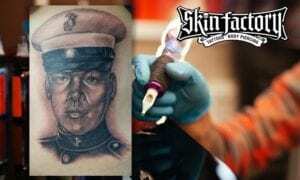 Memorial Tattoos - Skin Factory Tattoo Las Vegas. 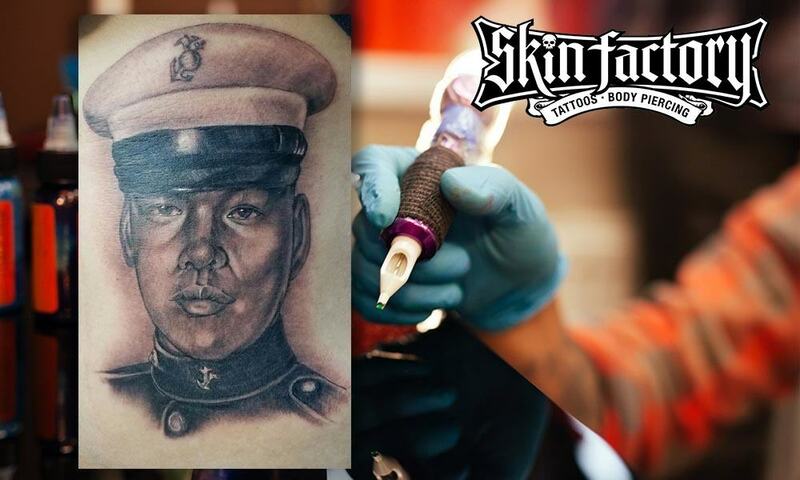 Memorial Tattoos by the Skin Factory. Losing a loved one is a shocking and traumatic experience. It can leave a person struggling to understand what happened for years to come. If you want to honor the memory of your loved one, getting a memorial tattoo is a great way to do it. And here is why. As time passes, we will struggle to remember what our loved one sounded like, the way they acted, and even what they looked like. A tattoo will help you remember them for the rest of your live by providing a strong visual reminder. Tattooing one of their favorite phrases on your arm can help you remember their influence on your life. If you’ve never really considered a tattoo, you might have an idea that they are cheesy or silly. That doesn’t have to be the case. A great tattoo artist is just that: an artist, and one that will honor your loved one by creating a beautiful memorial on your body. One of the coolest things about tattoos is that you can alter them slightly over the years. So if you want to add something new to your memorial (such as the name of a new child your loved one never got to meet) you can do so. In this way, you can create a living and changing memorial.